Vietnam-China relations have quickly descended into a crisis of proportions not seen since 1988 and possibly 1979. Though ‘crisis’ is surely one of the most overused terms in the English language, crisis accurately describes the situation today, at least for Vietnam. For recent developments require Hanoi to fundamentally and comprehensively rethink not only its relationship with Beijing but indeed its entire strategic outlook. As many familiar with East Asia know, the term for crisis in Chinese combines the notions of ‘danger’ and ‘opportunity.’ Once again, the term accurately describes the situation. Vietnam remains one of the least understood countries in East Asia. In the context of current troubles, and in the interest of providing reliable, useful information I will in the time ahead provide occasional (perhaps even daily) posts, compiling news, information, and analysis. The aim is to assist an English-language audience ascertain how this whole affair is playing out in Vietnam and among the global Vietnamese population. Guest posts are also welcome! As I have written recently, I personally find the situation massively disappointing. Given the time I have spent trying to understand Vietnam, I naturally tend to view the current situation through a Vietnamese prism. That said, I have been a student of China’s development for more than 20 years, I have many, many mainland friends, and like others, am impressed with China’s history and recent development. I am in no way anti-China. On the contrary, my efforts with respect to the analysis of the current situation aim to promote understanding and contribute in any way possible to shorter and longer-term solutions to a set of tensions that must be resolved. Imperialism, violence, and threats of violence are not promising paths forward for the region. Indeed, the people of the region deserve better. The New York Times has featured several articles analyzing the impasse as well as an infromative Q/A section, and a useful but not unproblematic map. Philip Bowring’s analysis published just today is both historically grounded and instructive. I highly recommend it. The NTY map (right) is problematic, at least in my view (am I being reasonable? ), because it depicts China’s nine-dotted line without sufficient indication that it has zero legal basis (See Zachary Kech’s recent analysis). We should note, for example, that this nine-dotted line has been printed in PRC passports and on maps being exported to all corners of the earth. Naturally, the Vietnamese and other Southeast Asian countries (notably the Philippines, Indonesia, and Malaysia, see things differently. 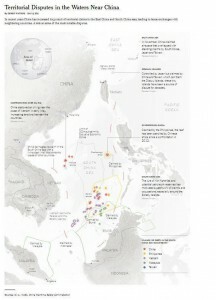 The creation of a Taiwanese bureaucrat in the 1940s the once-11, now nine-dotted line Beijing uses to claim sovereignty over eighty percent of the Southeast Asian Sea has zero legal basis. Some of those taking issue with China’s expansionary tendencies have rallied under the banner of “No-U VIETNAM” a lose grouping of civil society actors (mainly youth). In my view their banner (below) nicely captures the nature of Vietnam’s (and other countries’) objections to Beijing’s overreach. What the NYT map above does effectively show is the great complexity of the competing claims over ‘maritime territory’ as well as islands, atolls, ‘land features,’ and even submerged rocks. As I have noted in a recent essay revised and published on the blog of Washington’s Center for International and Strategic Studies, Hanoi has said its not insignificant military assets would be used only for self-defense. And yet the risk of an incident triggering self-defensive actions is now dangerously high. 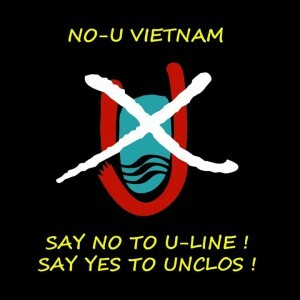 Vietnamese traditionally do not desire conflict, but their determination in the face of external threats is well-known. Relations between China and Vietnam have been and will always be complex. The two nations’ histories and destinies are inextricably linked. Sooner or later Hanoi and Beijing will need to find a way out of the current tensions. Whether that future equilibrium will be achieved more or less sensibly remains to be seen. Unfortunately, things are not looking very encouraging at the moment. Notable, Xi Jing Ping has recently refused to even discuss matters with his Vietnamese counterpart, Nguyen Phu Trong. And what of the big picture? Let’s think positively for a moment. In economic terms, relations between Vietnam and China have considerable potential. Relations between the countries should be comprehensive and mutually beneficial. One could imagine various arrangements under which joint development of resources could take place. But such arrangements would only be conceivable under a set of principles agreed to by all sides. The challenge now – for Hanoi and the region – is addressing a neighbor whose aggressive behavior threatens the entire community. In this context parties must prevail on Beijing to realize that good neighborliness is in its own self-interest. As indicated, I will update this page as events require and time allows. 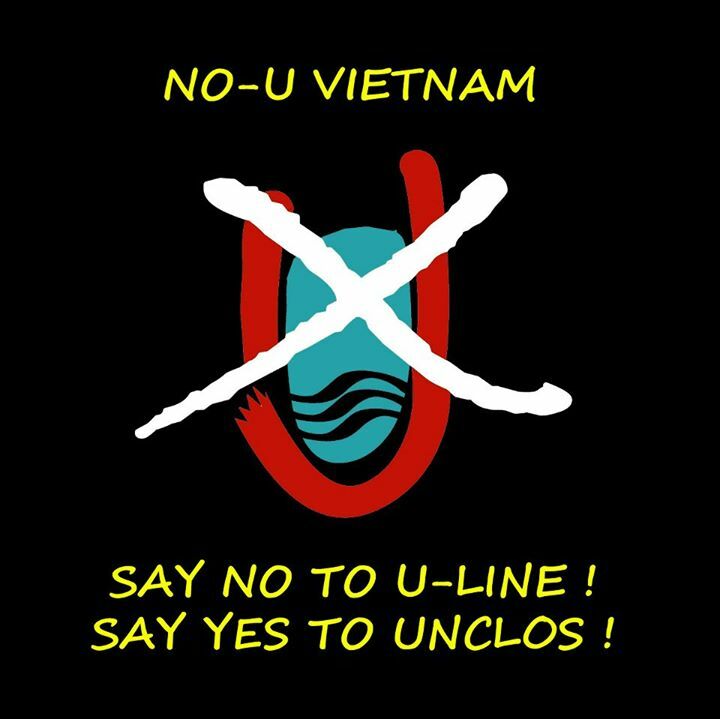 In the next post I will address two important themes, the tense situation inside Vietnam, including the contested role of Vietnam’s fledgling civil society, and the ways in which the standoff between Hanoi and Vietnam might intersect with emerging discussions over ‘mutually assured constraint‘ between China and and the United States. The situation is dangerous and scary. Beijing’s behavior is in my view deeply irresponsible and reckless. There’s been speculation for decades but it is still somehow hard to believe: Vietnam and the Southeast Asia Sea are today caught up in an intensifying process of hegemonic competition. “Strategic reassurance” has gone MIA.